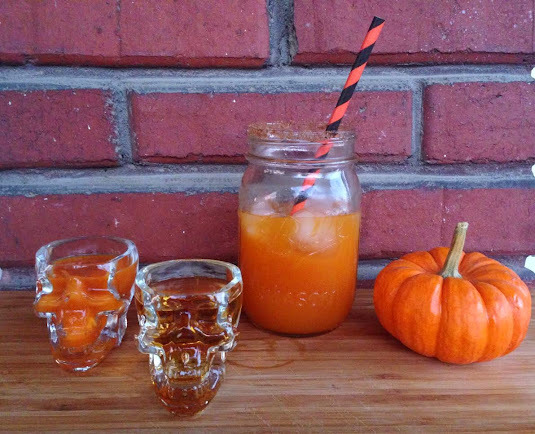 Here's another Halloween-themed cocktail for your enjoyment! Rim your glass with a mixture of brown sugar and cinnamon. Combine 2 oz carrot juice, 1.5 oz whiskey and 3 oz ginger beer and stir. Add ice and enjoy!